In its inaugural year, the Sho-Ping Chin Leadership Fund offered five grants to fund registration, travel and expense reimbursement for deserving women to attend the Women’s Leadership Summit in Washington D.C., September 14-16. Sho-Ping was a Principal at Payette and in 2009 the founding leader of the inaugural AIA Women’s Leadership Summit. 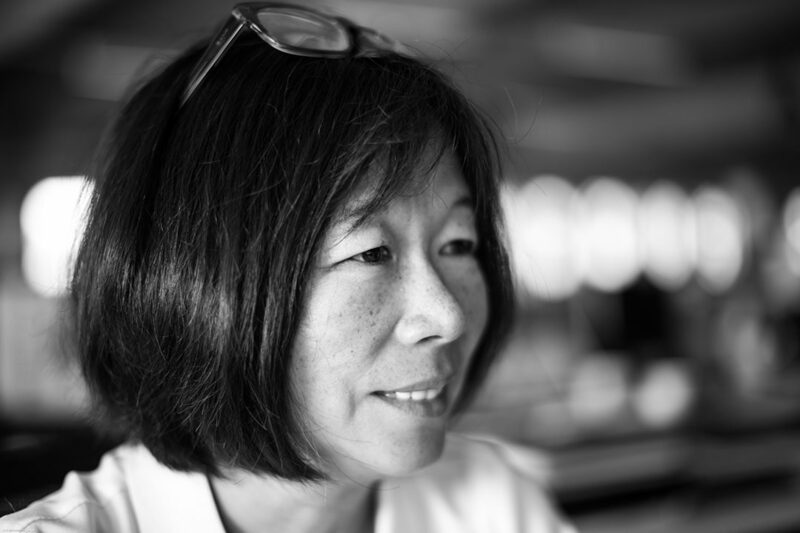 Tragically Sho-Ping succumbed to cancer in 2015, but her legacy of women’s leadership continues. In partnership with BSA Foundation, the memorial fund established in her name is focused on funding the development of future women leaders in architecture. Thank you to Sho-Ping’s family, friends and professional colleagues who contributed to the fund and made these grants possible. For the 2019 Women’s Leadership Summit, our goal is to fund ten grants. Please consider “paying it forward” to next generation of women leaders in architecture and help fund future grants! Originally from Colombia, Graciela Carrillo, AIA, immigrated to the United States in early 2003. While in Colombia, Graciela worked as an architect at the Bogota’s Institute of Urban Development (IDU), a Government owned institution in charge of city planning and infrastructure construction for Bogotá. Currently she works as an architect for Cashin Associates, P.C an Engineering Consulting firm based in Long Island, NY. At Cashin, she works on and leads all scales of urban design, planning and architectural projects, including leading municipalities to integrate sustainability features within their projects and LEED project administration and commissioning services. Graciela has committed almost a decade of volunteer leadership service to the AIA. She has been involved with the AIA at the local, state and national level, currently serving as the Treasurer as well as the EP Co-Chair of the AIA Long Island Chapter. On a National and State level in 2017, Graciela was appointed as the NY Regional Director (YARD) for the Young Architects Forum (YAF) and sits on the AIA New York State Board of Directors. Graciela obtained her B. Arch in Bogota, Colombia, and a Masters in Environmental Planning from Pratt Institute and is a LEED Accredited Professional. Through her volunteering to the AIA, Graciela has experienced an abundance of career enrichment and professional development. Of particular interest is providing a voice for immigrant professionals established in the U.S., and encouraging and supporting them in their path towards licensure and professional development, since she experienced, first hand, the challenges of being educated in a foreign country while ultimately acquiring a professional license in New York. Laura is a Principal at studiobattaglia, LLC and an Associate Professor at Hampton University. She holds a Bachelor of Science degree from Cornell University and a Master of Architecture from the University of Virginia. Her current academic research focuses on design as a vehicle for positive change in developing countries – a topic she refers to as “Design for the Other 95%”. Born, raised and educated in India, Nilanjana Bandyopadhyay grew up aspiring to make a difference in the lives of people. Nilanjana completed her Bachelors of Architecture from Mumbai University and shortly thereafter moved to the U.S.A. to broaden her horizons and pursue her dreams. Her early experiences included commercial, higher education, historic preservation and residential projects. Midway through her career, healthcare projects brought a complexity and satisfaction that continues to drive her today. Her strong belief of women paving their own paths to success helped her start managing projects very early in her career. As a young professional starting her career in Napa, CA, she was offered partnership in a short span of time. However, life changes prompted her to move to the East Coast where she further honed her skills in Charleston, SC, New York City and Jacksonville, FL. Not only driven by professional goals, Nilanjana aspired to be a mother and had her first of her two children in 2010. “Lead by example” has always been a motto in her life. As one of the founding members of the AIA Jacksonville’s Women in Architecture (WIA) group, she encourages her peers to lead and support others with this mantra. She was actively involved in her volunteering efforts for “My Sister’s House” that provide shelter and resources to women who were victims of domestic violence. As a mother of two boys, she juggles life as a soccer mom and as a healthcare architect at the international firm Gresham Smith & Partners. She received a diploma in Indian classical music, taught Latin dancing and enjoys cooking at home for friends & family in her spare time. Her desire to strive for perfection helps her excel in all her endeavors. One part mom, one part wife and one part ambitious architect is what describes Nilanjana Bandyopadhyay. Purnima McCutcheon, Senior Project Manager with Oceanwide Hawaii, has over 20 years of architectural work experience, including 10 years in hospitality design. Her projects span several continents: ranging from the US Embassy Major Rehabilitation in Ulaanbaatar to resorts in Asia, Africa and North America, museums in North America, regional shopping centers in Asia and North America and post-disaster, socially conscious, sustainable architecture for grass roots communities in Asia. Purnima received her undergraduate degree in Architecture from Rachna Sansad’s Academy of Architecture, Mumbai, her Master’s degree in Architecture from the University of New Mexico, Albuquerque and most recently, obtained a graduate degree in Historic Preservation from the University of Hawaiʻi, Honolulu. Purnima currently serves on the AIA Honolulu Board, and is a docent for the bi-weekly architectural walking tours offered by the chapter. She also co-chairs the Annual Architectural Walking Tour Committee hosted by the chapter during Architecture Month in Hawaiʻi. Taryn Barrett joined Duncan•Wisniewski Architecture in 2008 upon completion of her master’s degree, and has steadily advanced and contributed to the firm in a multitude of ways, ranging from office management to project management. Taryn and the founding partners are developing a succession plan to transition from architect to principal/owner of the firm of 7, which specializes in a range of projects with strong social and sustainable missions; including multi-family housing, housing for homeless, veterans and seniors, food shelters and animal hospitals. Most recently, Taryn was the project architect on the conversion of an historic 55,000 SF brick and timber ca 1882 vacated orphanage into apartments. Taryn attended Miami University in Oxford, Ohio where she earned her Bachelor of Arts in Architecture while competing as a Division 1 Track & Field Heptathlete. Her success at balancing academics and athletics was rewarded with Female Scholar Athlete of the Year for Miami in 2006. She continued at Miami to earn her Master of Architecture degree, presented her thesis at three ACSA conferences, received the Henry Adams AIA medal for the top ranking graduating student and the AIAS National Honor Award for Community Service in 2008 for a home designed and built for a young girl with cerebral palsy. Taryn achieved licensure in Vermont upon completing the NCARB exams in 2016. She lives in Colchester, Vermont with her husband T.J. and two young children Brynn and Madden.